Though zombie TV shows, movies and video games seem to be a popular craze, fear of the undead is certainly not a new thing. English archaeologists say they may have found evidence that medieval villagers went to extreme measures to keep the dead from rising again. A study published in the Journal of Archaeological Science on April 2 reveals that human remains were dug up at an abandoned village called Wharram Percy dating back to nearly 1,000 years ago. The research states that the corpses were burned and mutilated after death, suggesting that they were either victims of cannibalism, or destroyed to make sure they could never rise from their graves. Simon Mays, the leader of the study and a human-skeletal biologist, said the theory "are the remains of corpses burnt and dismembered to stop them walking from their graves seems to fit the evidence best." Mays and his colleagues wrote that reanimation could occur when individuals who had a strong life force committed evil deeds before death, or when individuals experienced a sudden or violent death. English medieval text suggests that corpses would be dug up and mutilated to stop these "zombies" from haunting the living. 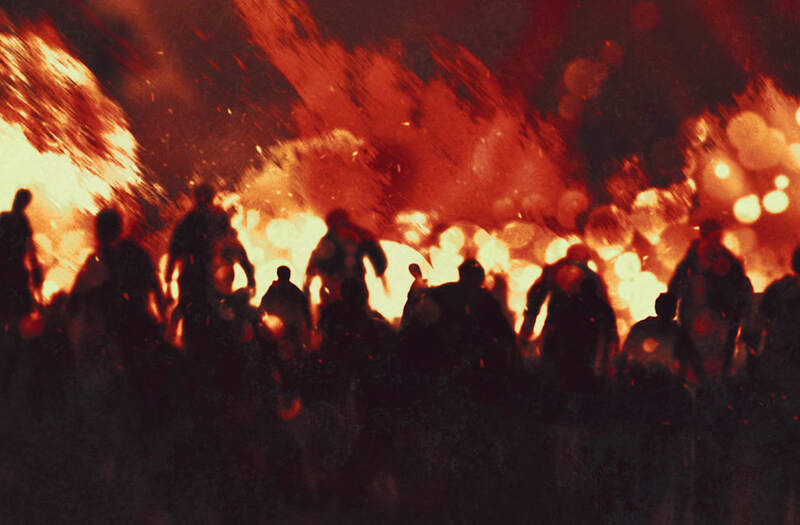 Stephen Gordon, a scholar of medieval and early-modern supernatural belief who was not a part of the study, said he thinks the theory that the bodies were destroyed out of fear of zombies is plausible. "Although, of course, one cannot discount the possibility that cannibalism was indeed a cause, I do think the evidence veers toward a local belief in the dangerous dead," Gordon told Live Science.